I have enjoyed writing since I was a teenager and now freelance when I get a chance. I live in Melbourne and want to share the wonderful places, activities and restaurant/bars it has to offer! I love a great deal. It doesn't matter what it is, if I can get it cheaper I will haggle and bargain until I get a discount. While some people may find this embarrassing or can't be bothered, I go that extra mile to save the bucks. Bargaining for products and services is particularly relevant these days due to the state of the economy and increasing job losses across all employment sectors. Retail outlets are really feeling the pinch due to the downturn of the economy; however this can be an advantage for the purchaser as Retailers are more willing than ever to give discounts if it means a sale. Consumers are changing their shopping habits. This is clearly demonstrated by the increase of on-line purchasing; of which is very attractive to the younger consumer in particular; mainly due to the convenience of 24/7 availability that is meeting the demands of time pour consumers. With a little determination and some good research you can still achieve some significant savings whichever way you choose to purchase. Here are some tips I have found useful. Know your products and compare prices. Read the junk mail that clutters your letterbox. Instead of throwing it away in disgust – check it out. Cut out the deal from the junk mail. Print off the best on-line deal. You may have purchased a discount book that entitles you to a certain percentage discount on various shops or services. For instance – The Entertainment Book – lists many discounts to products and/or restaurants, services and events. If you're a member of the RACV Club, this too can entitle you to a discount. Go to their website and look for shopping discounts. Other clubs also offer discounts as an incentive for you to join. Some companies offer their staff discounts to certain stores or services. Ask at work to see if they have an affiliation with certain stores – you may be pleasantly surprised. There has been a huge increase in the number of on-line discount groups recently. There are two major sorts of on-line purchasing groups. a)	First group uses the model where a minimum number of purchasers have to register in order to obtain the deal. Once this number is met, the purchaser is notified, credit card charged and a notification (usually an email) is usually received stating that the "Deal is on". b)	Other groups negotiate with vendors in targeted areas and charge the vendor a fee (usually a percentage of the cost per deal) to offer these deals to their subscribers. ii)	Are re-directed to the vendor's website with a code to redeem the deal. You can get some great discounts by joining these groups, so check them out. Examples of these are Spreets, Living Social, Groupon, SureDEAL, Showdeals, So$harp, Deals I Love or Cudo. Another great site is Bargain Avenue which gives you access to large variety of deals, coupons and discounts. Look for great discounts at the online stores. Most sites do ask you to join as a member which generally costs nothing. You will then receive daily updates on what's on special. Brands Exclusive -Online shopping club for fashion, footwear and accessories. Living Exclusive - Household accessories/decorations and lifestyle products. Dalani Home & Living - Premium Household decor. OO.com.au - Great Shopping site for anything – over 30 000 products. Deals Direct Another great shopping site with a myriad of products. 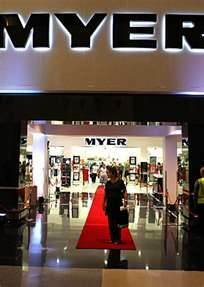 Additionally some of the retail stores ( Myer, David Jones or Target for example) have moved into on-line catalogues with discounts that only available on-line. Keep your eye out for these. Great bargains are always there to found at E Bay or Gumtree. However always check out the added extras when purchasing on-line such as delivery fees or postage. They can be a trap. 4)	Watch the TV campaigns – sometimes you will find the product you want is on special for a limited time. You may find that you are unable to obtain warranties if you buy on-line. Some sites do offer this, but a lot don't, so depending on what you're purchasing you may have to factor this in and weigh up whether it's worth the risk of purchasing without a warranty. For instance perhaps you are considering purchasing a large white good (such as a refrigerator) or a TV. I would definitely be seeking a warranty with products like this, however if you can't obtain this via your On-line shop, then go to a retailer and haggle to purchase at a great price. 6)	Purchasing from Retailer Outlet. Be prepared to bargain. Don't go along if you're tired as you need to be on your toes to bargain effectively. Take a print out of the prices you have sourced on-line, or a cut out from a catalogue (good idea to take a rival retailers catalogue or pricing with you as this gives you more leverage) and use these as a bargaining tool to get a cheaper price. This works particularly well if you buy with cash. 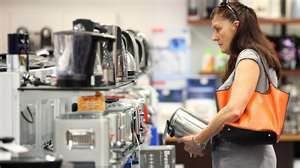 Stores such as The Good Guys, Fantastic Furniture and Harvey Norman will generally try to meet the price your on-line quote says or meet and better the price of their opposition. If you're clever you could even get a "package deal" that could include delivery and installation at a cheaper price. Recently I purchased a Dishwasher from The Good Guys. Because I had cash, and I had done my homework – had a printout of the on-line price and a cut out of another store's catalogue with the dishwasher in it – I received $100 discount plus I got delivery, installation and removal of the old dishwasher included. So next time you want to shop – try these tips and see how you go. Remember Retailers are hungry for your business and they will generally bargain for it, so you as the purchaser have the advantage. Use these tips to get what you want for the price you want. We had a look at a few of these bed specialists too. But if you dont want to risk the quality side of things then Snooze has been reliable for us and our kids bedshttp://www.snooze.com.au/Beds Those have lasted through lots of wear and tear believe me!